As you may have already known, I also write for TheDroidGuy.com addressing problems sent to us by our readers. We often get hundreds of emails daily from our readers who are asking for help with their devices. Some of our readers, however, cared to email me their problems. Thus, it is just right to respond but instead of replying privately, I want to make public my suggestions so other owners who may have issues with their phones can get support without much of a hassle. Problem: Hi Harold. I am one of the avid readers of TheDroidGuy.com and it was from there that I happened to know you have a blog that also provides support to us users. I just want to email you and personally ask for your help with my problem. I own a Galaxy S3, the one with LTE, and I recently updated it to KitKat. The download and installation processes were successful and I noticed the phone actually became faster after the update. I was of course happy until I tried sending a text message. The problem is that every time I open or launch the messaging app, it immediately closes and sometimes shows an error message that says, "Unfortunately, Messaging has stopped." I don't know the reason why that happens but I'm pretty sure the phone was working fine before the update. So, I reckon it should be the KK that brought this to my device. Is there a way to fix this? How? Solution: A problem like this is not as complicated as many would think. It is apparently just an app issue and nothing else. It just happened that the problem occurred after the update so many would think the new firmware caused it. More often, this problem is caused by some corrupt data that are just waiting to be cleared off and that's what I advise you to do. Clear both the cache and data of the messaging app that it should work perfectly after that. Touch Settings, then tap on More tab. Now swipe left or right until contents of All tab are displayed. Problem: Hi Droidista. It's good to know you are serious in providing support to us average users. My phone is a Samsung Galaxy S3 and I recently received an update to Android 4.4 KitKat. The update was successful, however, after the installation my browser seems to be acting up; it cannot display any webpages. I checked my internet connection and it's fine since I was able to download 3 apps while this problem is ongoing. I am already at a loss here so I need your advice. I am not much of a tech person and I am not comfortable tweaking some settings in my phone as I may end up messing it even more. What should I do to fix this issue? By the way, I am also a reader of TDG and I found out about your blog from your posts on that site. Thanks. Solution: Just like the first problem I cited in this post, it is just an app issue and can be fixed by simply clearing the cache and data of the app. You didn't, however, specified if you were using the stock browser or a third-party because you can actually uninstall it and just install it back. Also, if you're using mobile data to connect to the internet, you might want to check if the browser was restricted to use data or not because if it were, there's no way you could browse any website. Scroll to and tap the browser you're using. Solution: The problem you have now, Maggie may be because you don't have enough storage left in your phone. The error message you specified in your message means the same thing as the error messages "Could not install program in Storage" and "App could not be updated due to insufficient storage." The immediate way to work around this problem is to uninstall unused apps and transfer your photos, videos and music to your computer. Clearing data of big game apps could also free up some space. For users out there who may be getting the same error message, it means you need to do some thorough house cleaning; if possible, perform factory reset. Problem: I hope you can help me with my problem as I'm already so frustrated with my phone. I own a Galaxy S3 and I recently updated it to KitKat. Now, I cannot receive text messages in real time. The worse thing is that when they eventually come in, they weren't arranged in chronological order; some new messages come in between two old messages. Some will go to the end of the thread while others arrive just fine. It is so annoying to find those new messages, so I need your help to fix this problem, please. I've been suffering from this issue for almost a week now. Thank you! Solution: I personally encountered this problem with two of my phones before so I understand the hassle of finding text messages that just came in. More often when the problem is with the app itself, clearing the cache and data would solve the problem...but not this one. I don't know how it happens that the phone or the messaging app cannot arrange messages in correct order but clearing data wouldn't fix it. I also tried wiping the cache partition but that didn't help either. What fixed my issue was factory reset. I know it's also a hassle backing up everything in your phone but if that's what it takes to fix the problem, it's worth it. Problem: Hello Harold, I am having trouble with my Samsung Galaxy S3, which I recently updated. When I go to plug it in to charge it'll shut off. I've tried different outlets but I don't know what to do. It's currently at 12% so it needs to be charged. Is there something I can do so it stays on and charges or is my phone pretty much stuck like this? Was the update I got a bad update? Solution: The most basic thing you could do is to make sure you're using the original charger kit and USB cable. If you're using OEM accessories and the same thing happens, I'm almost certain there's a problem with the circuit. Perhaps one of the pins are bent causing some circuit problems when the phone is plugged in to charge. I don't think it's a firmware issue at all. If the phone were working fine after the update, then the firmware has nothing to do with it. Bring the phone in to be checked by an authorized technician as soon as possible. Remember, it could be a circuit problem and the more the issue is prolonged, the riskier it becomes for the phone. 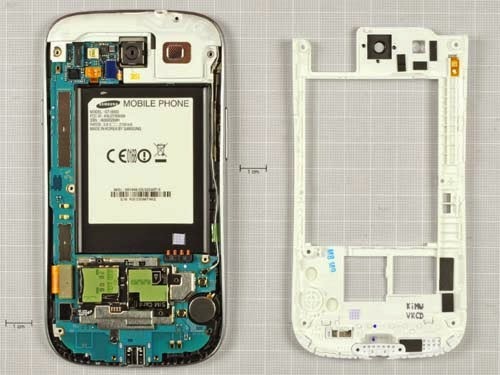 Inconsistencies with the circuit can bust some components inside the phone and that would lead to a much bigger problem in the future. Solution: Jorge, the update may have corrupted some data during the installation. What you need to do first is to clear the cache and data of both the Dialer and Contacts apps. Scroll to and tap Dialer. Do the same for the Contacts app. Please note that there is a service called Contacts Storage. You don't have to touch that because it's the service that stores contacts saved locally. There you have it. The problems I cited in this post came from my readers. While they are minor, there is a tendency you can encounter them especially after the update. If that happens and you don't know what to do, email me at harold@droidista.com and I will do my best to respond to your messages. Thanks for reading.